I thought a good way to introduce you guys to my style would be to share with you where I get my inspiration from. Today’s focus will be Paramore front woman and all round powerhouse Hayley Williams. 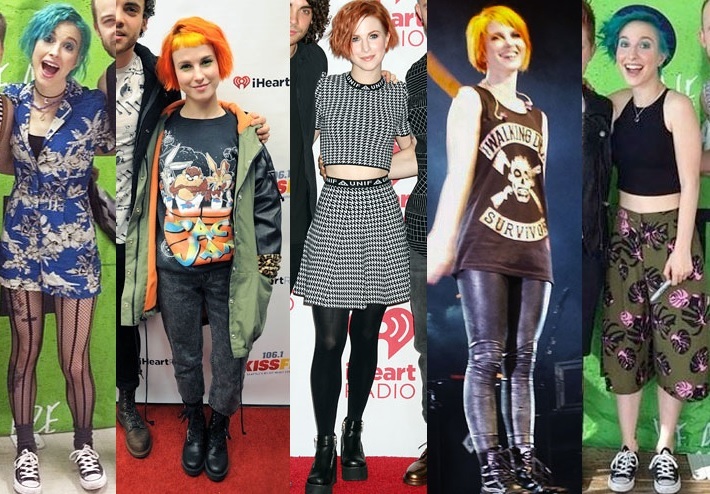 I have been an avid Paramore fan since the release of their sophomore album Riot in 2007, but it wasnt until the Brand New Eyes that I really started to adore the style of flame haired Hayley. Her style bread and butter since the beginning has always been skinny jeans and t shirt, yet she’s maintained a flare for experimentation. In more recent years this desire to be unapologetically herself has led to fashion, make up and hair becoming an important part of her self expression. The ethos that fashion is dress up and make up is fun is something I truly believe in. As she has grown from a kid finding her feet to a confident woman who knows who she is so her style has evolved and become more about standing out than fitting in. The staples remain the same a love of great denim, the frivolity of clashing prints, a truly enviable collection of shoes (I’d give my life for her Vans collection) and a punk rock attitude that puts the focus on self expression rather than fashion rules. A true fashion renegade after my own heart. A few fashion highlights of late. So this blog has been a long time coming, Sally and I have been sending fashion and beauty obsessed texts to each other for around two years and fantasising about the bloggers, vloggers and youtubers we’d like to be best friends with. After one enthusiastic discussion too many, we realised we were beginning to bore some of our friends and the penny dropped. We spent the next couple months bandying ideas around. 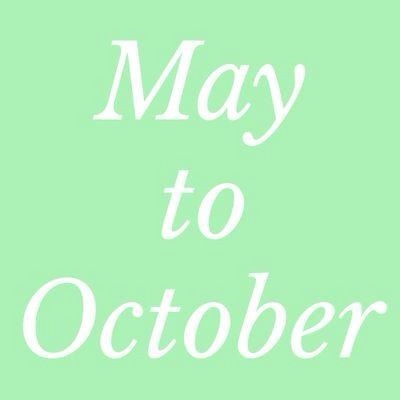 So now we are launching May To October. We have a new creative project to throw our efforts into and a space where we can share our thoughts and obsessions. We have quite differing tastes, though they cross over, where I have a love for flouncy dresses, winged eyeliner and false lashes, Sally veers towards a bold lip, Vans and Yankee Candles. However show us a good brogue or a charity shop bursting with clothes and we are both in our element. This could best be described as a lifestyle blog, launched by two recent graduates living in sunny (ahem) Cornwall. We hope you like it. Our regular blogging schedule is weekly on Tuesdays and Thursdays.